Link is a comprehensive course that offers a clear, balanced approach to learning English. It provides and attractive and motivating link between elementary and advanced levels. 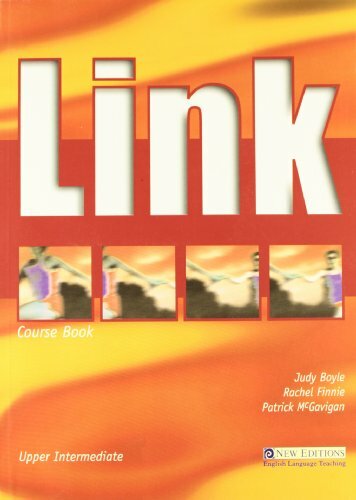 Providing four level series ranging from elementary to upper Intermediate, Link is a comprehensive course that offers a clear, balanced approach to learning English. It provides an attractive and motivating link between elementary and advanced levels. Key features include: 20 thematically-based units with lively topics to capture students' attention; extensive practice in all four skill areas; practical links between reading/writing and speaking/listening texts and tasks; carefully structured exercises that prepare students for eventual FCE study; five progress reviews easy to follow and easy to complete within the school year; lots of practical advice for students on effective ways to learn English; and, a complete package including a Student's Book, Workbook, Teacher's Book, Test Book, Companion and free Student Audio CD.